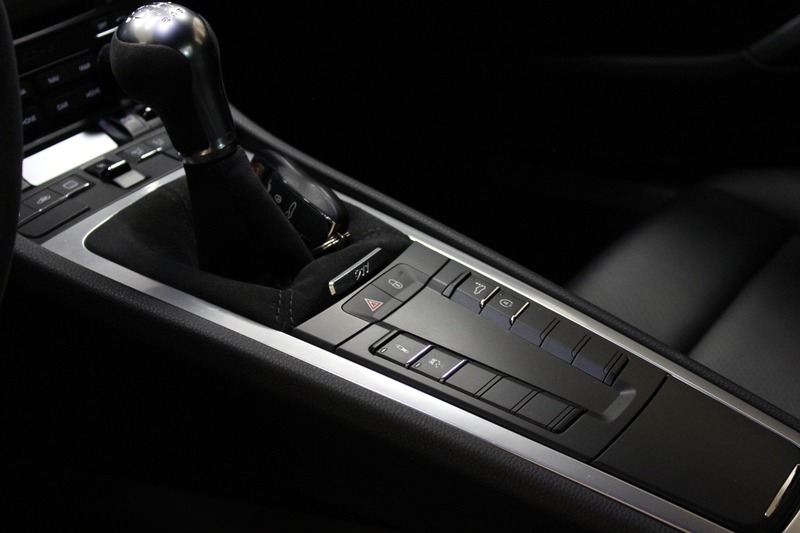 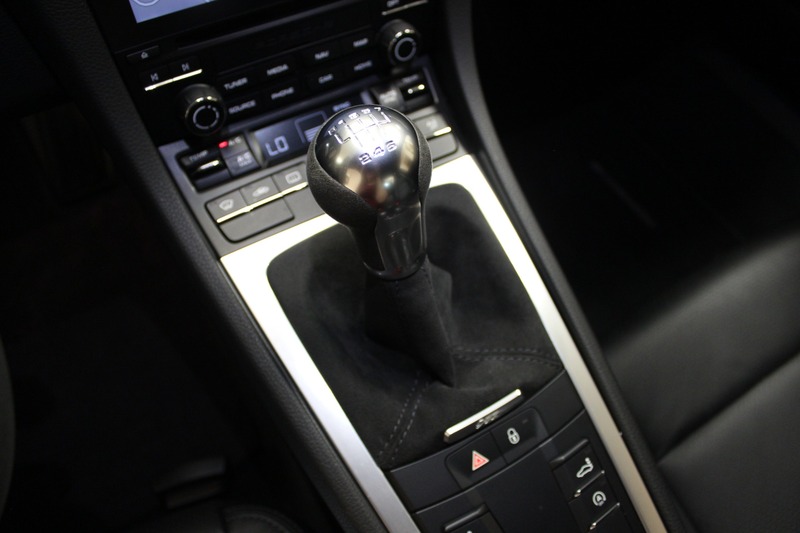 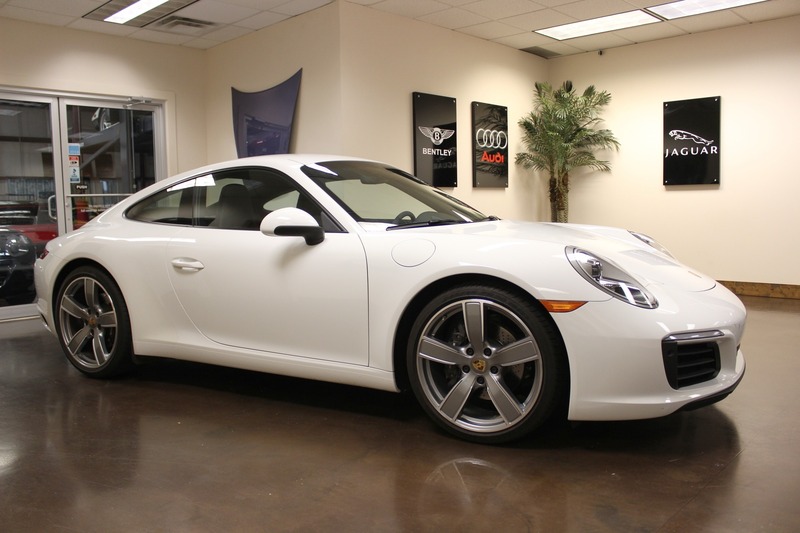 This little 911 is tons of fun to drive: 7-speed manual transmission, 370 hp, 3-liter, flat 6, twin turbo. 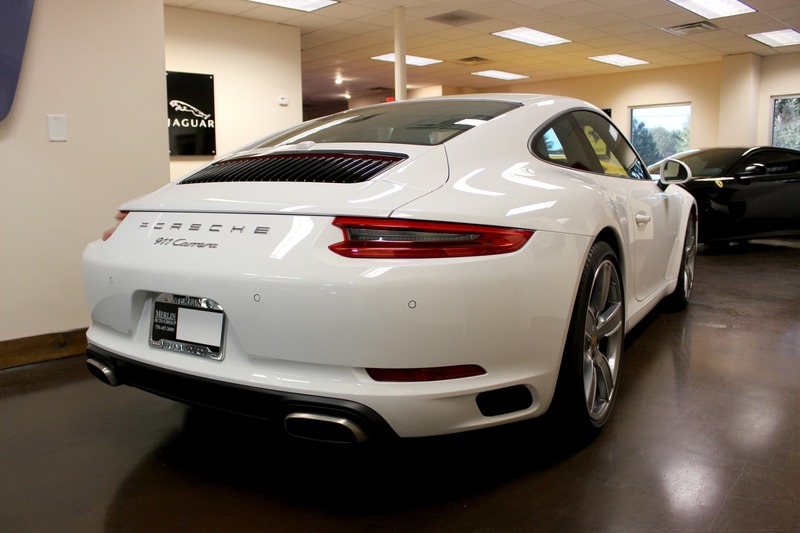 Nice to see one in white with black leather instead of red. 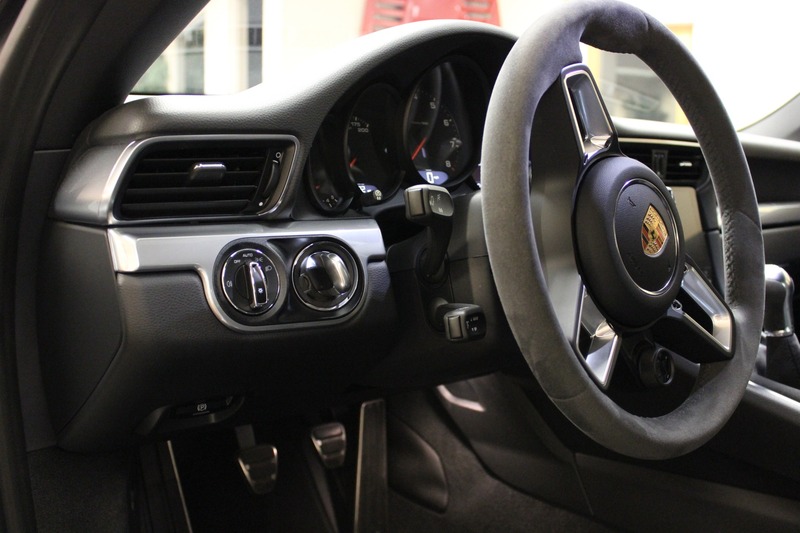 Nicely equipped with: Porsche entry and drive, power steering plus, Alcantara shifter and steering wheel, sports chrono and a few more. 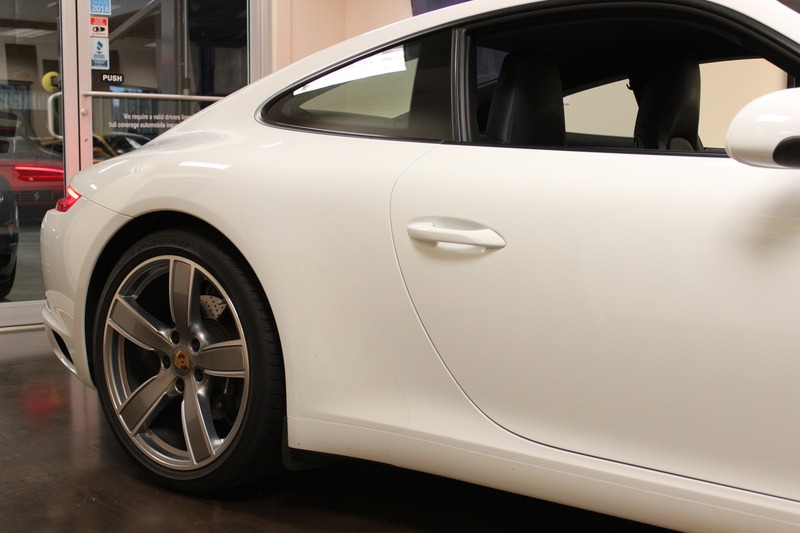 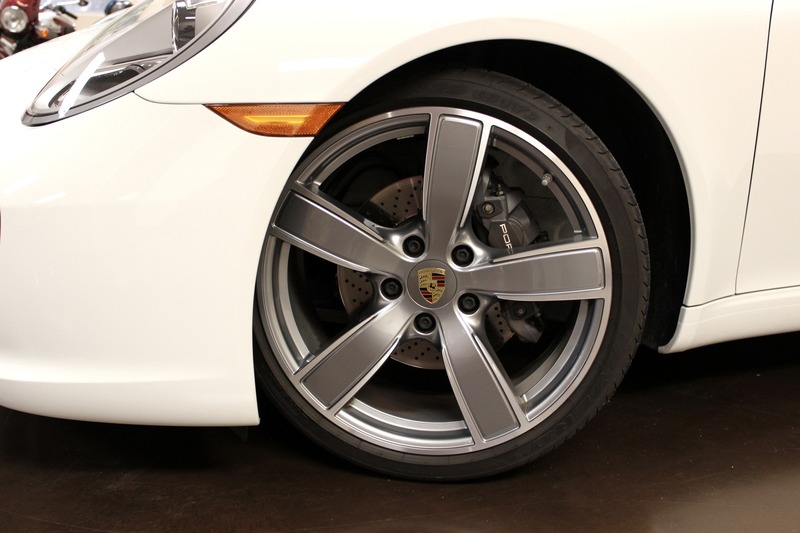 The 20" Carrera sports wheels just enhance the profile. 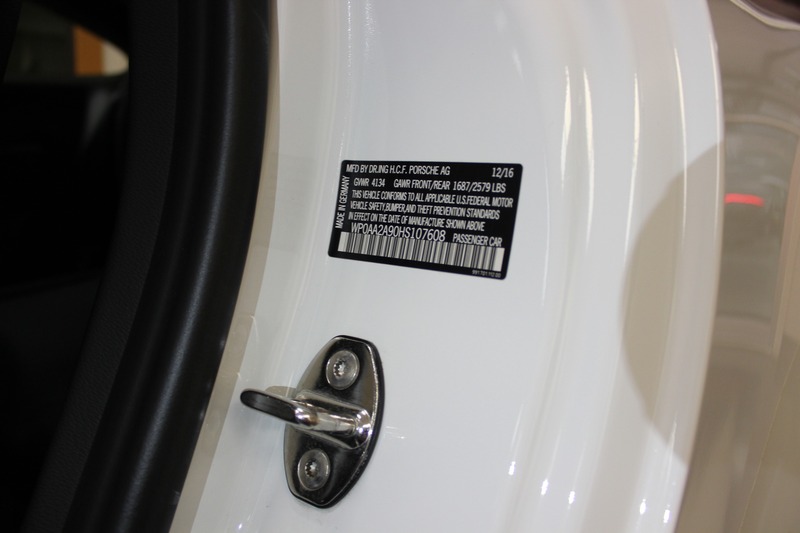 It's had 1 previous owner and an accident-free CarFax. 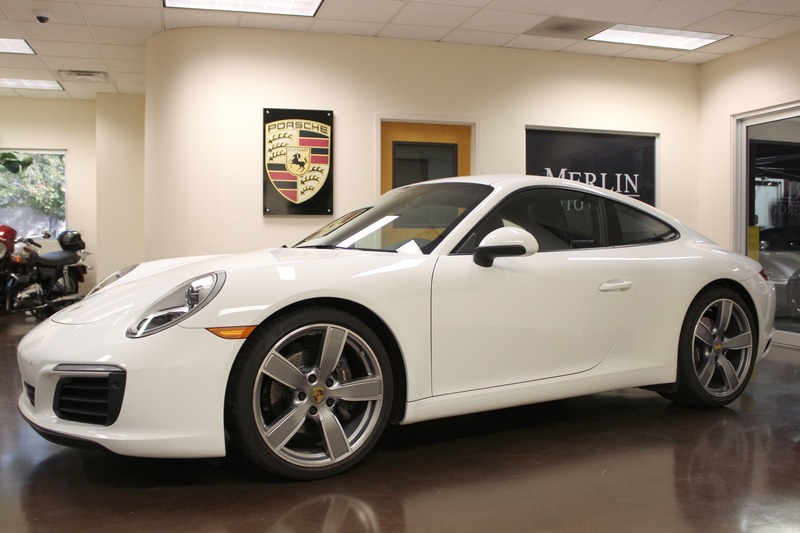 You should Google the reviews on this particular model; they're all great. 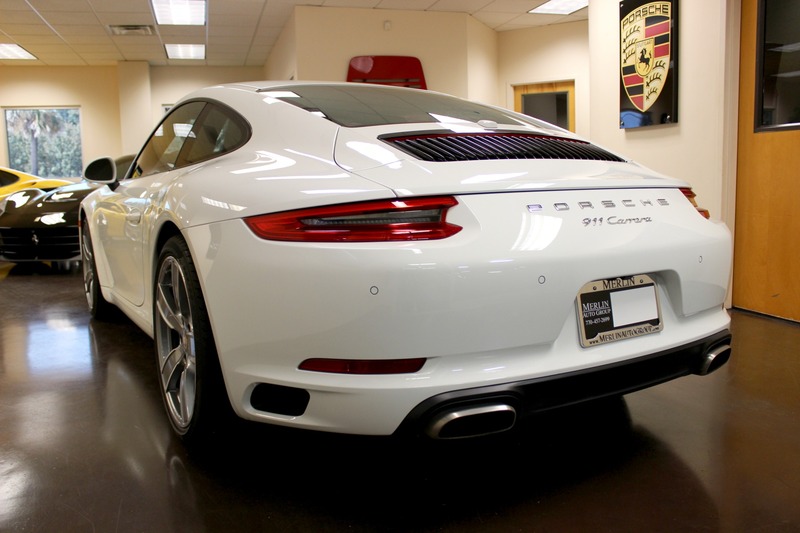 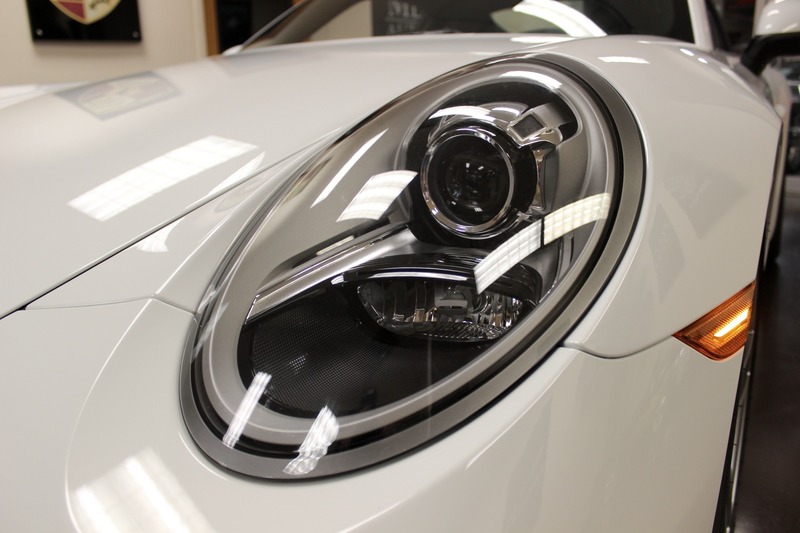 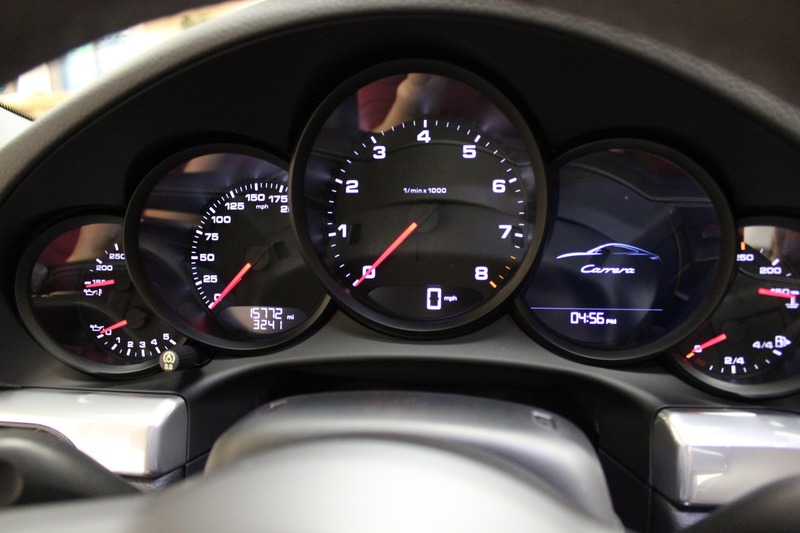 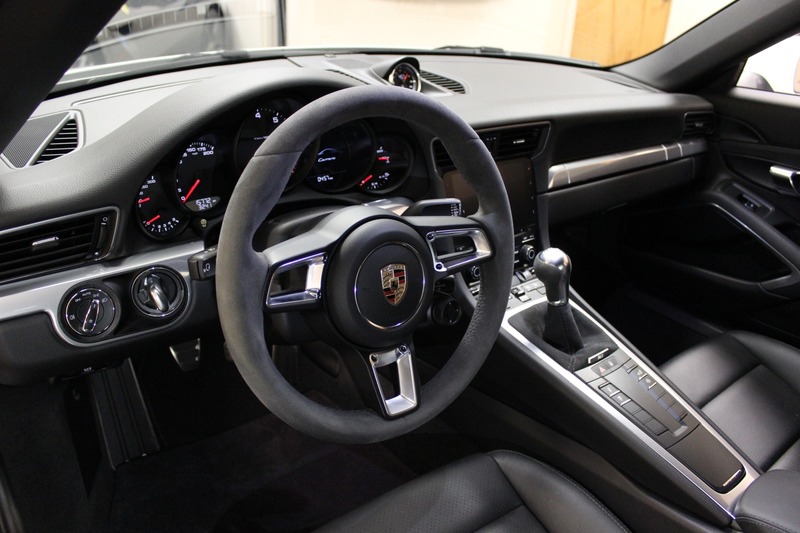 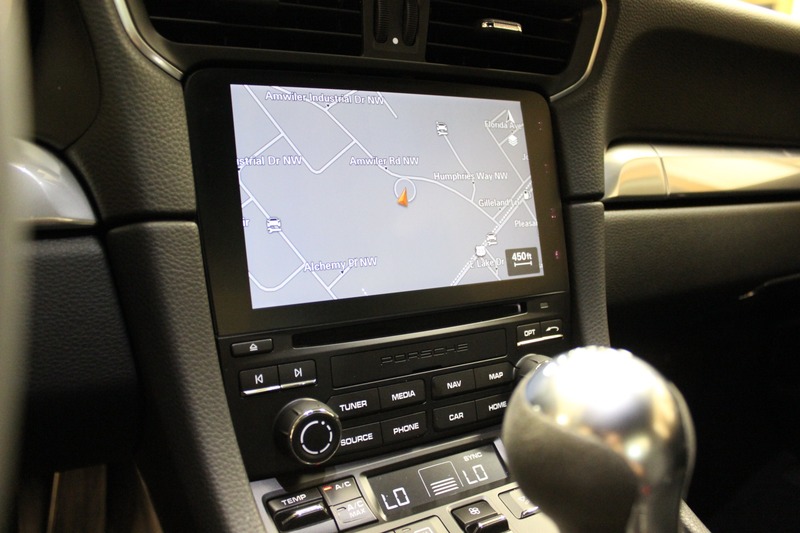 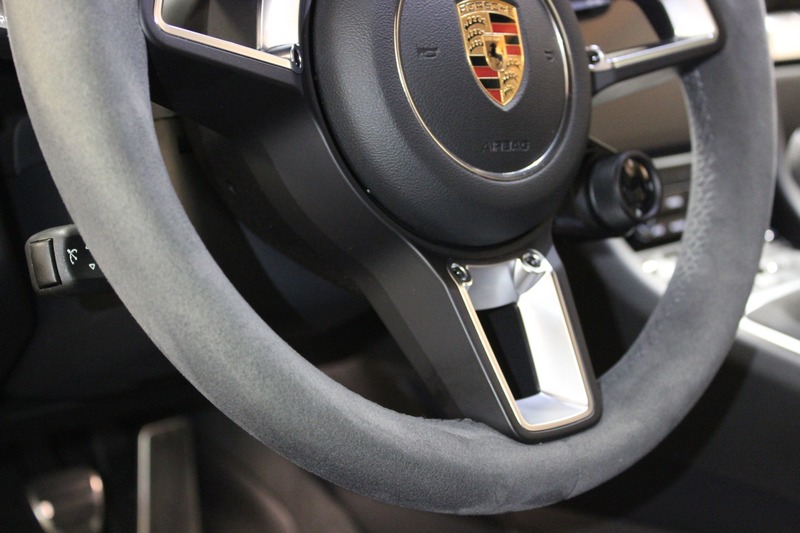 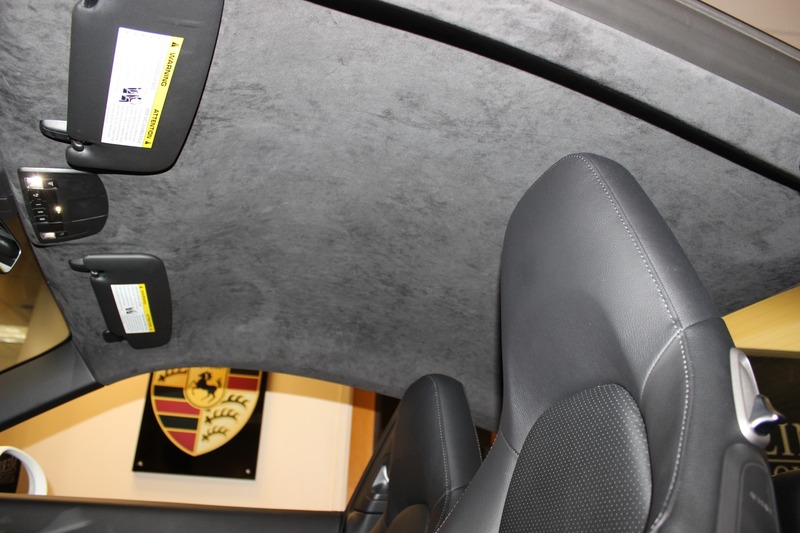 Here is 1 that we really liked: "The 2017 Porsche 911 Carrera is an Amazing vehicle. 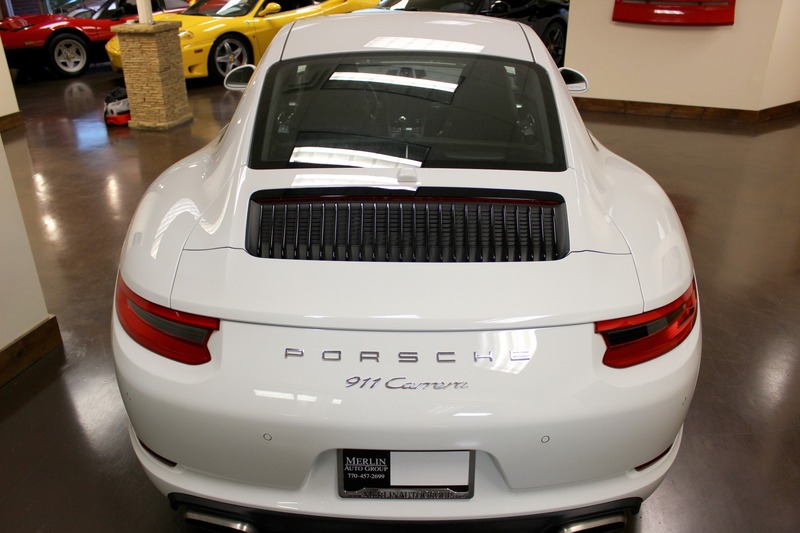 I've owned several Porsches and by far, the new 911 is the Best! 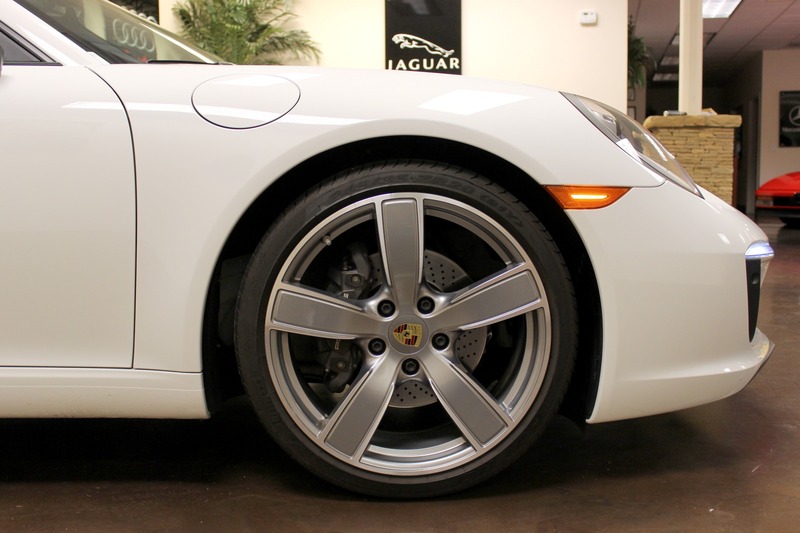 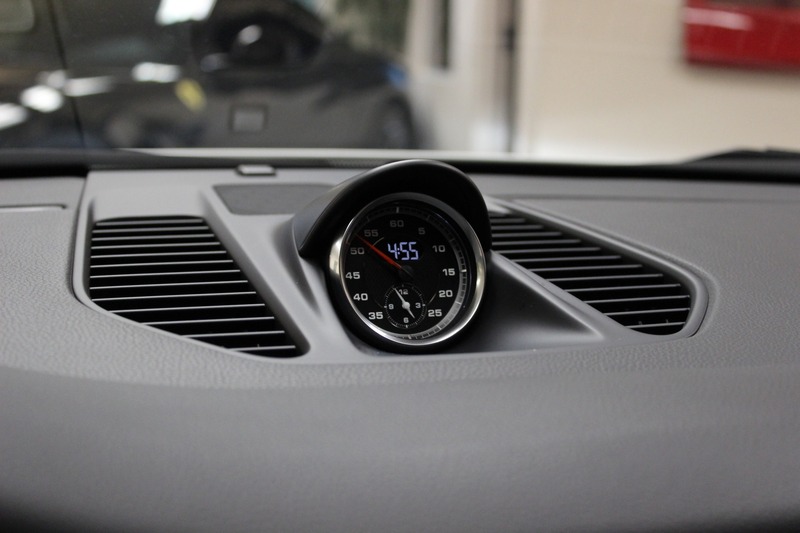 The car is quick, handling is precise and very comfortable for a 2-dr sports car. 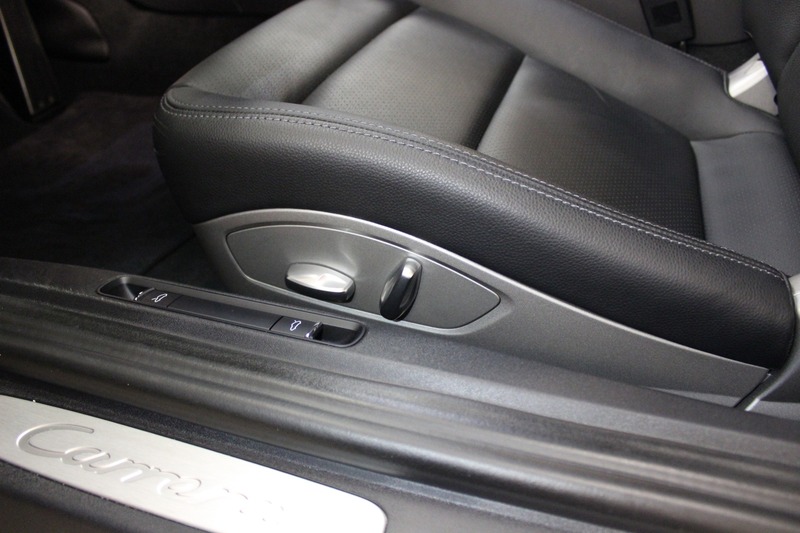 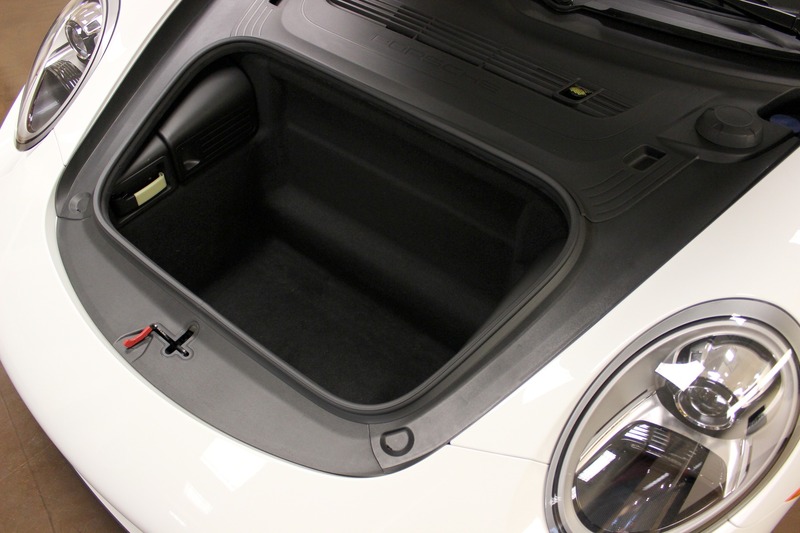 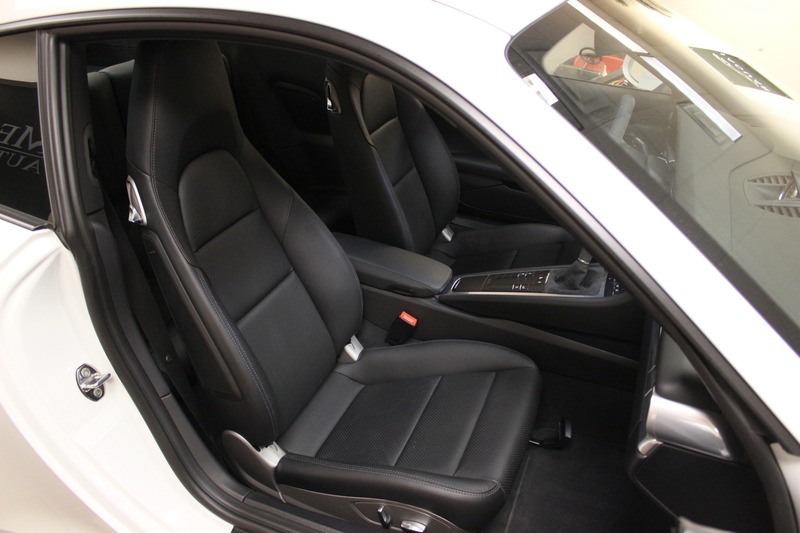 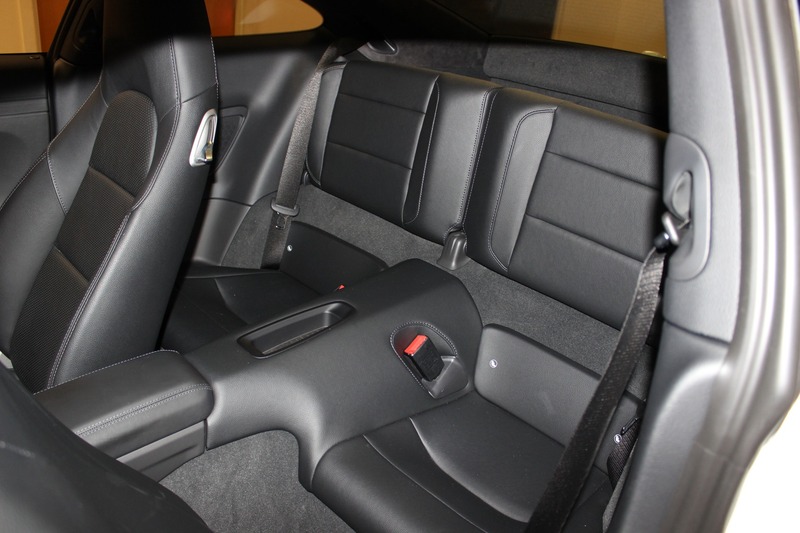 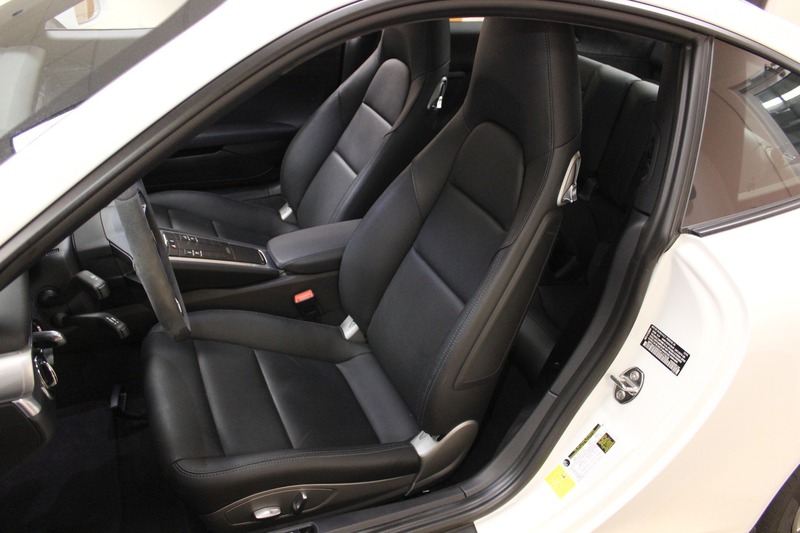 There's more room is this vehicle than you expect for a true Sports Car. 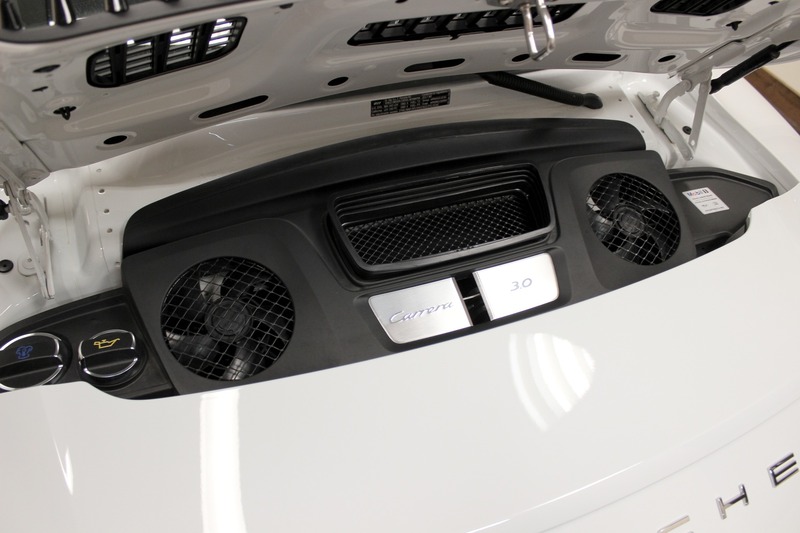 Firing up the engine, and you'll fall in love with the sound with or without Sport Exhaust. 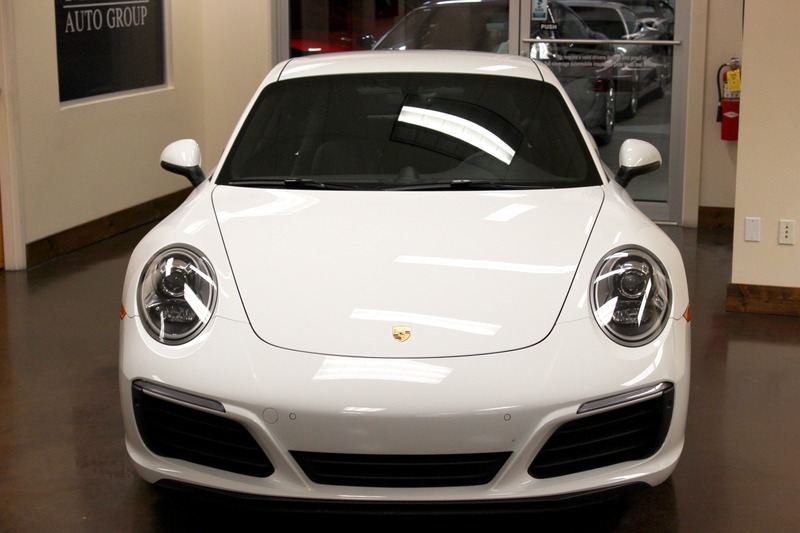 Every time I drive my new 911, I tell myself 'It doesn't get better than this'. 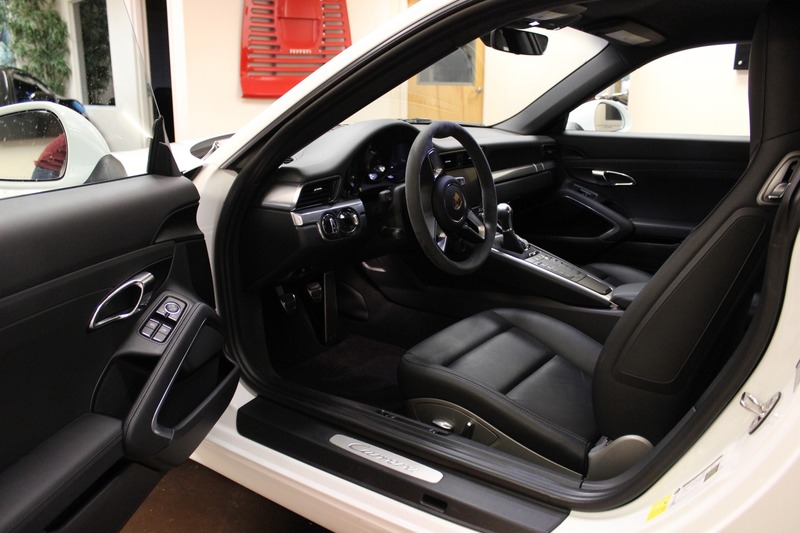 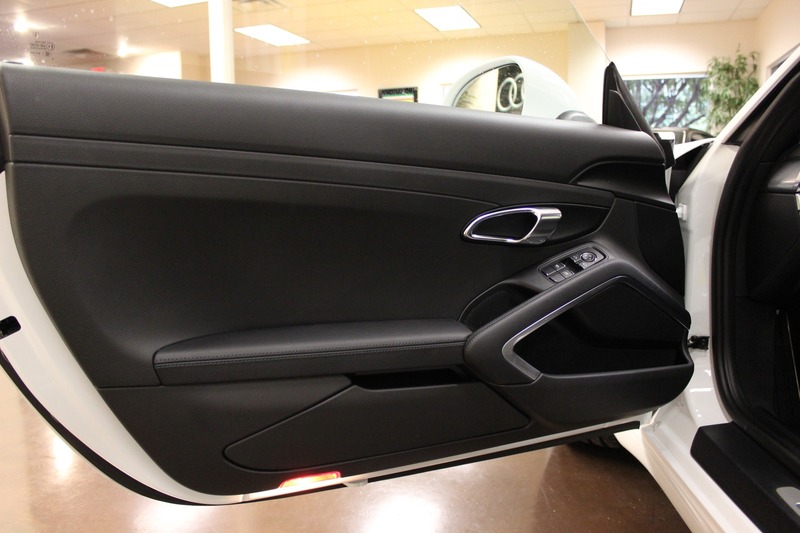 Inside and out this vehicle is a Perfect 10." 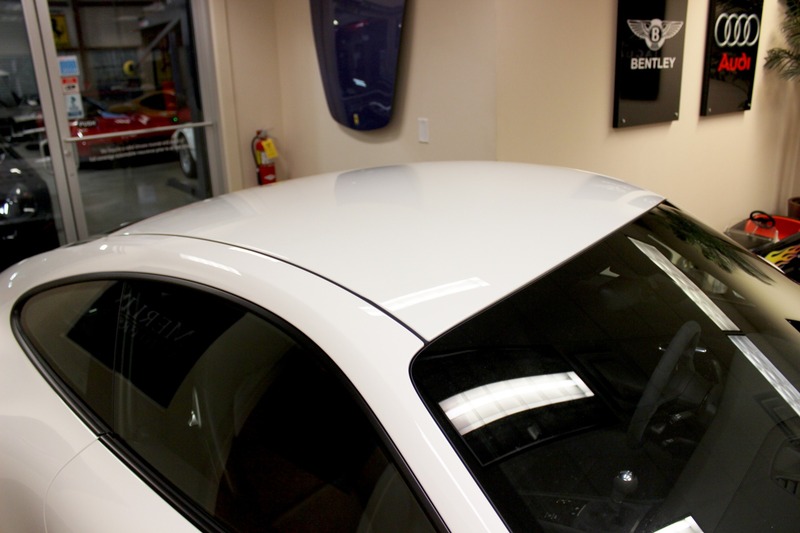 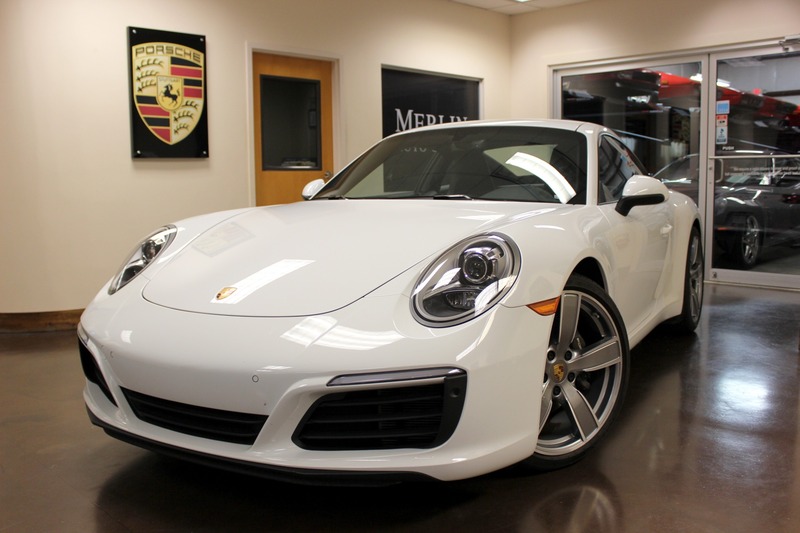 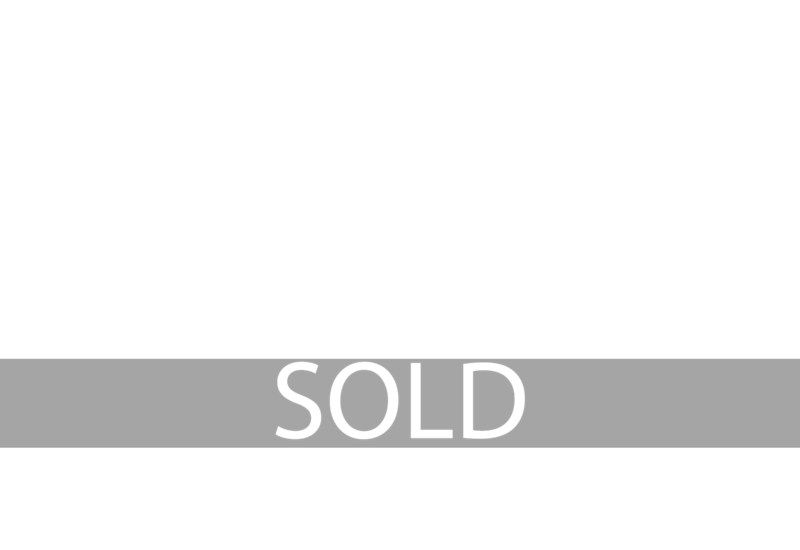 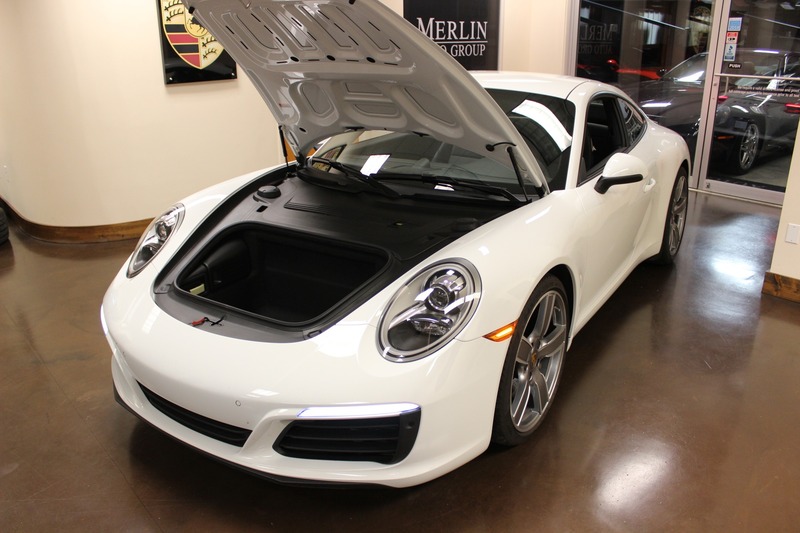 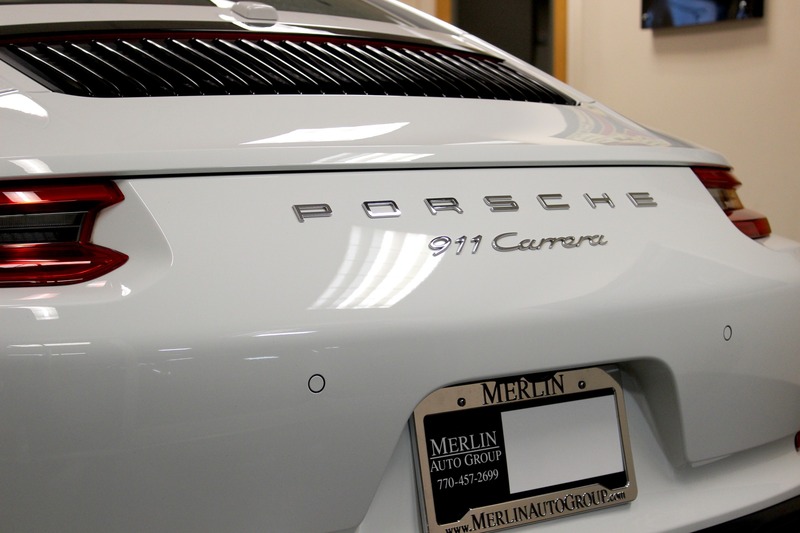 Thank you for vieiwng our 2017 used Porsche 911 for sale at Merlin Auto Group.